Product #49871 | SKU LP37098 | 0.0 (no ratings yet) Thanks for your rating! The DroneGuard BP 200 Backpack from Lowepro features a custom interior designed for a DJI Mavic Pro or Mavic Air quadcopter and accessories. The FormShell design provides an armoured exterior shell to help protect your equipment. 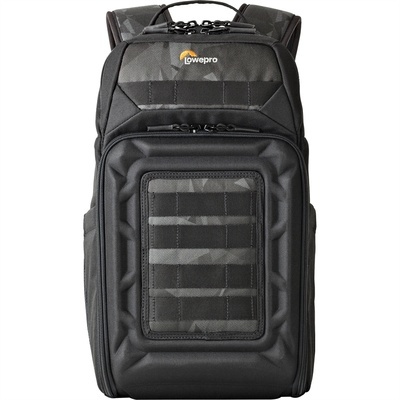 In addition to the quadcopter, this backpack will accommodate the transmitter (radio controller), four spare flight batteries, a phablet or large smartphone, as well as several other small drone accessories. The BP 200 also features a zippered top compartment for storing sundries, such as snacks, sunglasses, a jacket, and more.